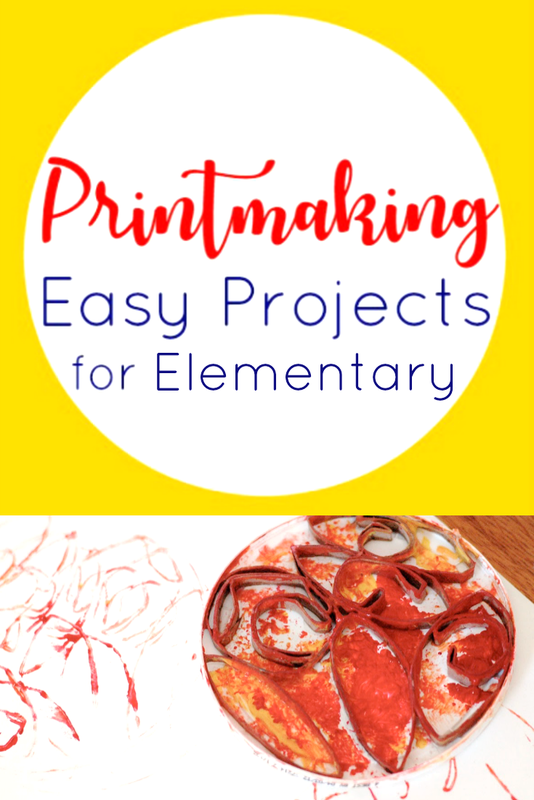 Inside: A collection of easy printmaking ideas for elementary-aged children using everyday materials and inexpensive art supplies. 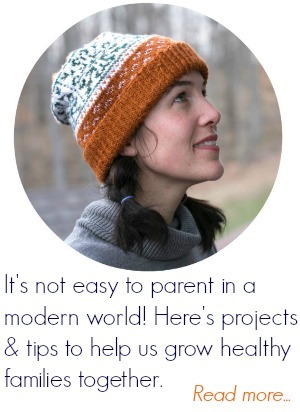 Also helpful for playgroups and multi-age homeschool settings! As kids grow up, it's easy for them to get focused on their art "looking like something." And to be discouraged when it doesn't match the picture in their head. This frustration can lead to a dislike of art, a defeatist mindset. Printmaking reminds us of the power of mark-making. That a mark just by itself is a beautiful thing. People have grown our world through marks. Whether it's using their handprints to decorate their world and clothing (see the Malian mudcloth activity below) or creating the marks that evolved into our written language today. Marks are important. They're also confidence-builders for kids. 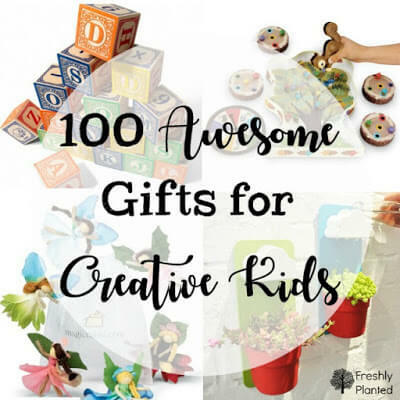 Because (here's an art teacher secret) once we stop focusing on our expectations for our art- and are able to play around with it- it becomes easier to create art that exceeds our expectations. 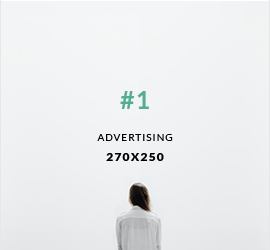 Art that we enjoy making, and actually like too. Sunprints are fun to frame and make cards with, but creating a garland is our most favorite at all. Easy to hang, it's a great reminder of past adventures. It stores easily, just fold carefully and put into an envelope or tie with string. 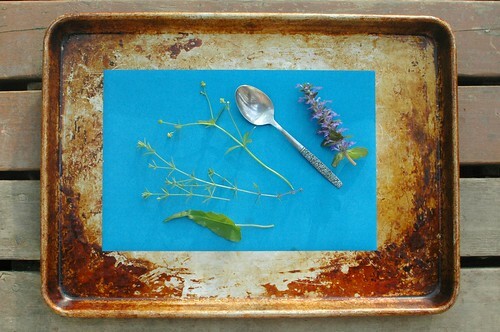 Easy art projects with everyday objects are the best! This one came right out of our recycling bin: plastic lid and cardboard tubes. A simple and inexpensive way to explore design, and they always turn out so fun. (Just try to match your cardboard pieces to the plastic lid height.) This is a great creative exercise for adults too. Just saying. Extension activity: Create a mandala by starting with a center piece then circling repeating designs around that. Mud has been used around the world to create artworks and handcrafts. In India it's traditionally used to decorate walls (like these incredible murals) and in Mali it's used to create Bògòlanfini or mudcloth. 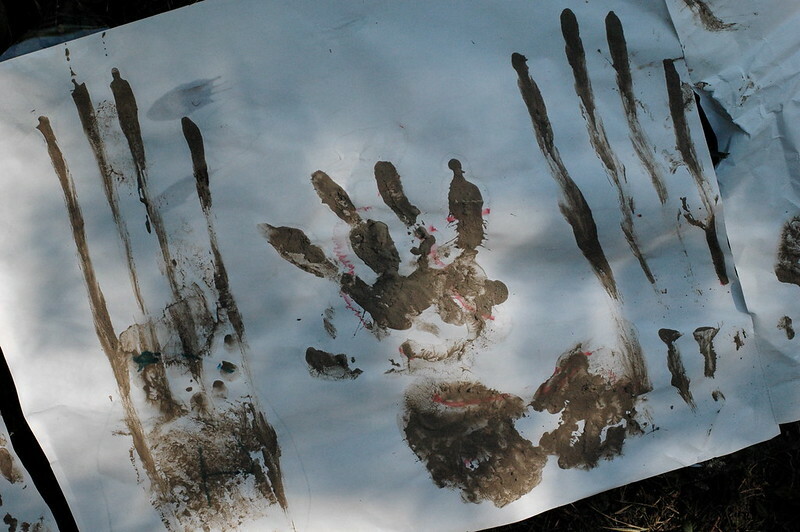 This simple activity is a great introduction to African Art, and a fun way to create outdoors! 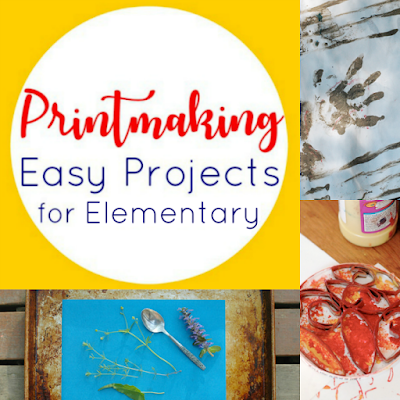 Extension activity: Print handprint patterns onto t-shirts or fabric using fabric paint.